Author’s note: I started writing this article over three years ago. It’s been sitting in my drafts folder ever since. I have removed all identifying information about the university in question and respectfully request that any comment-box discussion does the same; I am considering forwarding this to the university administration so that they can plan future admissions events with this in mind. But as college-tour season is in full swing, this has been on my mind lately. I wanted to publish it and invite discussion. When I take a high-school student to visit a Catholic college, I don’t expect the tour guides to genuflect at every statue in the quad. That’s just not reasonable. Why is this university apologizing, through its tour guides, for its Catholic character–a Catholic character which is evident not only in the statues on campus and religious art in the classrooms, but in its huge commitment to community service and in the presence and participation of an impressive number of Religious who are not only professors but also administrators, counselors, support staff, and (in some cases) dormitory dwellers? Doing so weakens the very foundation upon which Catholic education is built. Excuses should never be made for offering religion classes, community-service opportunities and religious services or for encouraging students to take part in them. Perhaps our tour guide, who was quite competent in the art of giving a tour and in her knowledge of the University, its history, and what it offers, was acting on her own when she made this statement. I certainly hope that this is the case, because I would hate to think that a university with a long history of Catholic character and community service that encompasses all the corporal and spiritual works of mercy would deliberately downplay the very character that makes the University stand out among the other institutions of higher learning in the same city. 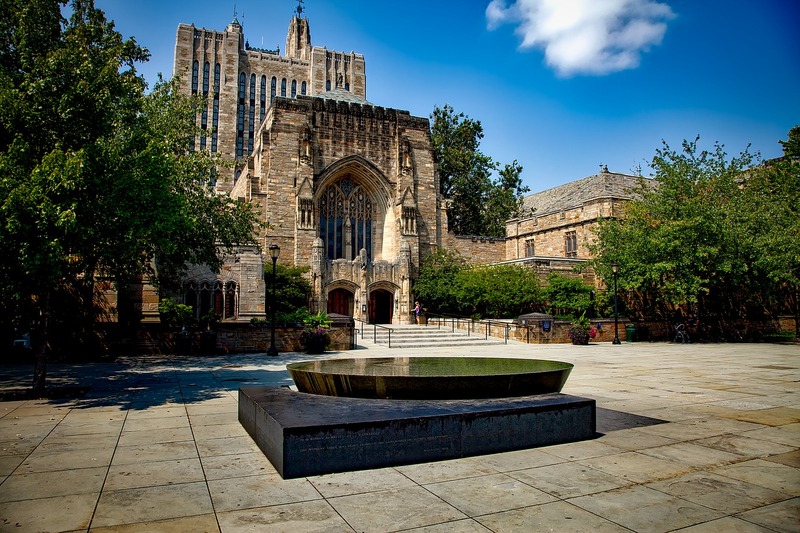 The University’s Catholic character is to be celebrated, not swept under the chapel rug. No one expects the University to force religion down its students’ throats, but neither should you pretend that it is not an important part of both academic and community life there. NOTE: This campus image is deliberately not from the college described in this article. Photo via Pixabay (2011), CC0 Public Domain. 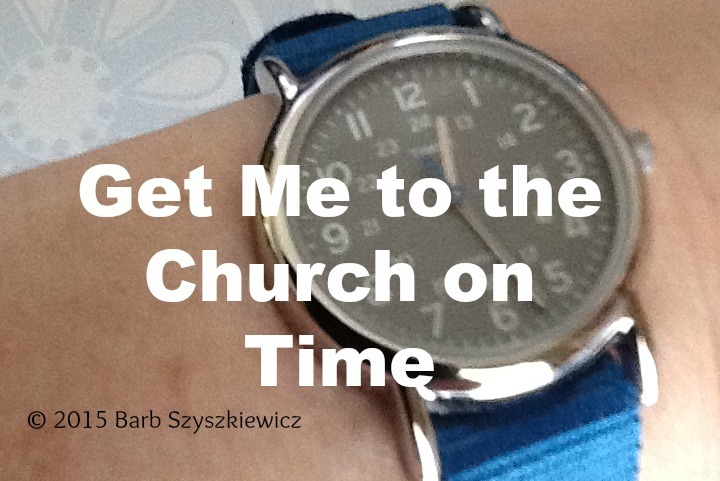 Late for Mass: Have I Missed the Boat? Tomorrow will be the last day for 5+ weeks that I can get to daily Mass on time. That’s because The Kid will be attending theater camp, which begins at 9 AM (the same time as Mass), 3 towns away. Last summer I tried going to Mass at one of the 2 parishes close to the camp, but I was late getting there, and I didn’t feel comfortable walking into an unfamiliar church after Mass had begun. Punctuality is a thing with me. I hate to be late. I hate when others are late. And now I have to choose between being late to Mass or not being there at all. I hate that idea even more. So today I asked Father what he thought about me slipping into Mass late. Yes, I would be later, even, than if I attended Mass at one of those other churches, but I’d be at my “home base” and I felt better about approaching the issue this way. Father assured me that because I wasn’t going to be late because I was too busy hitting the snooze alarm, but rather because I was doing something my child needs me to do for him, I’d be OK. I will make a special effort to read the daily Mass readings ahead of time, because I’ll probably miss some of them. Fortunately I can go to CatholicMom.com each morning for the Daily Gospel Reflection and catch the readings there. And if I get The Kid to camp a bit early, I can send him in as soon as the adults arrive. That will get me on my way a little earlier. Finally, I’ll slide into a pew in the way back, rather than my usual spot nearer the front, so I won’t be as much of a distraction. I’m thankful for the reassurance I got this morning about my plan to try getting to Mass after the camp dropoff each day. And that reassurance I got today will help me remember not to judge others who don’t arrive on time. Maybe they’re taking care of a family member’s needs too. I guess the only thing I still need to know is: who’s the patron saint against getting speeding tickets? I’ll have to put him on speed-dial! 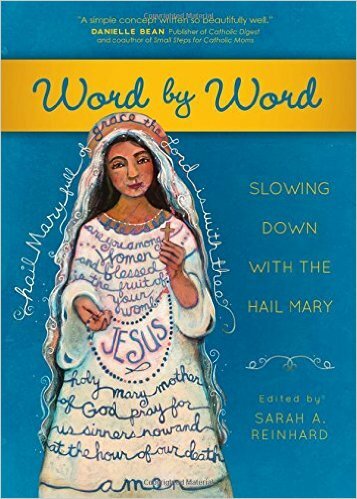 CatholicMom.com is hosting a discussion of the book Forming Intentional Disciples by Sherry Weddell each Wednesday. You can follow along with the study guide or order the book at the discounted price of $10 with FREE shipping (through July 31). I felt like this chapter was written for people who work with converts. There was nothing mentioned about cradle Catholics who fall short on the discipleship spectrum; maybe that’s coming up later. Normally I don’t answer the “For Your Parish” study guide question, but the personal question was geared toward someone who clearly is an intentional disciple already and is dealing with people who aren’t. I don’t think I’m “there yet”–not by a long shot. So I’ll take a stab at the questions about my parish (some of them, at least). What is the spiritual atmosphere in your parish? Have you noticed any change over the past several years? If God were to ask you to mentor a small group of seeking and new disciples in your parish, would you be ready to accept that task? My parish went through a merger about 5 years ago. We were paired with another parish in the same ZIP code. We kept the Franciscan friars (from our parish), two churches, one office, one rectory and put together any duplicated programs. There weren’t many. I think that our parish has come together well; there’s not an “us vs. them” attitude like there was in the beginning of the merger. My wish for my parish is that it was more open. I feel like many things are only available to a small core group. Maybe that’s just my own social anxiety rearing its ugly head, but it’s the way I feel. I also feel like we’ve got a lot of buzzwords buzzing about, but I don’t see what’s behind them. It used to be “religious education” and now it’s “faith formation,” for example. But what gets learned? From what I’m reading in the parish bulletin, it doesn’t seem like there’s a lot of substance. 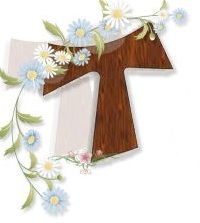 I am the minister for our parish’s Secular Franciscan fraternity. No, that doesn’t automatically qualify me as a disciple. I do well with the organizational end of things, but I’m not the best at leading discussions of a spiritual nature. I’m not ready to accept the task of mentoring others on the path to discipleship. I’m the poster child for the old joke, “Those who can’t teach, administrate” in this case! Get in on the discussion at CatholicMom.com’s Lawn Chair Catechism! 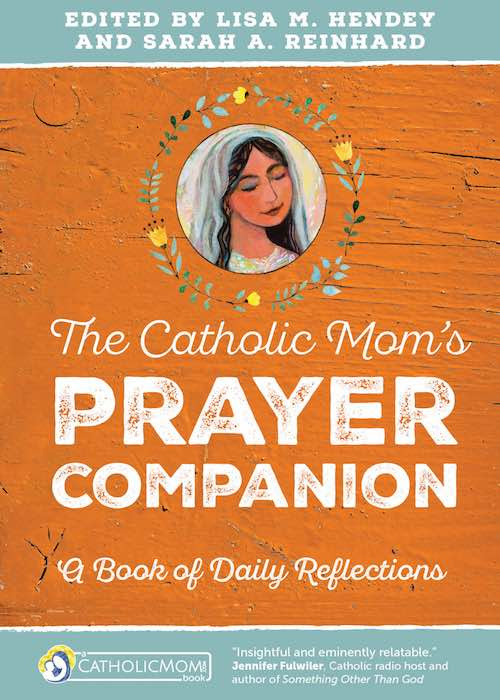 Join the CatholicMom.com’s Summer Reading Challenge! This is not a mindless “beach novel.” It really makes you think. You can participate in the discussion without reading the book (you’ll find reflection questions here) but this book really is worth the read. Being moved to faith by hearing the basic proclamation of Jesus Christ and his work of salvation. Believing in what God has revealed – especially that God saves sinners through redemption in Jesus Christ. Recognizing that one is a sinner. Trusting in the mercy of God. Beginning to hope in and love God. Resolving to be baptized, to begin a new life, and to walk in the obedience of faith. That’s a tall order. I was intrigued by the discussion of how important it is that anyone receiving the sacraments as an older child, teen or adult be properly disposed to receive the sacraments. There’s a school of thought that says that even if someone isn’t prepared properly to receive a sacrament, he should receive it and the sacrament would take care of itself. But our faith doesn’t mean that we are passive receptacles for grace–as if we are an empty container, and grace is poured in. Cooperating is hard. Integrating the grace offered, freely given, and poured out generously by God into the rest of our messy lives is not easy. 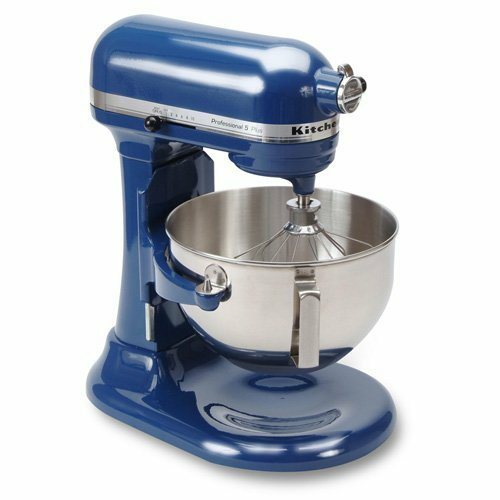 The dough in that mixer is stiff and does not yield easily to what is ultimately best for us–but what is tough to do at the moment. When you bake bread and mix the ingredients, they do not always come together easily. You really have to work at the dough as you knead it to blend the ingredients together and to develop the gluten in the dough. 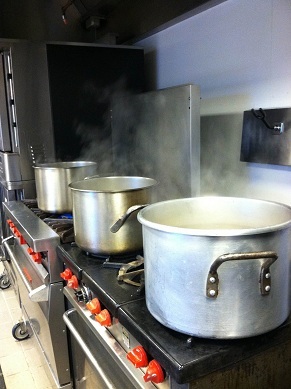 If you don’t work the dough properly, it will not rise and you’ll get a brick: a waste of ingredients, time and effort. While any grace given by God is certainly not wasted even if it isn’t properly received, it is that proper reception that allows it to act upon the other ingredients in the mixer that is our souls. This “saint in training” has a lot of work to do. Would the fruits of the graces I have received through the sacraments be visible to people who listen to what I say and see what I do? Join in the discussion of Chapter 4 at CatholicMom.com, or leave a comment below! No, I’m not. I do better writing about it than talking about it, maybe because I have the delete button and arrow keys to help me rearrange the words and figure out exactly what I want to say, rather than stumbling over my clumsy spoken words. And because I can’t see my audience, though I do tweet about my faith occasionally with people that I see in person. I can discuss God with one of my neighbors, and with some of the members of the folk group I’ve been singing with since 2006, but not so much with my family and not with strangers, either. Plus, I’m not sure I have a good handle on that relationship. I’ve got a long way to go. And when others talk to me about their relationships with God, I just wind up feeling like a fraud–which proves that I do, indeed, have a long way to go. My greatest inspiration right now is Pope Francis. Every time I read an excerpt from his homilies, or see his tweets, I am reminded–and challenged–about what it really means to follow Christ. I marvel at his ability to show the world how to live as a disciple. Joining up with Lawn Chair Catechism, hosted at CatholicMom.com! I’m a cradle Catholic, as are my parents, my husband, my siblings and my children. But participation varies, despite childhoods centered on Catholic school and Mass attendance. Right now I struggle with my older kids’ attitudes about Mass. I wish that all my kids wanted to go to Mass on Sunday, wanted to find a way to serve the Church and to know God better. I am here to say that bringing them to Mass each and every Sunday of their lives is not enough. Sending them to Catholic school is not enough. Praying Grace before meals is not enough. All of these are good things. None of them are guarantees. I wonder, sometimes, if that fact that my own relationship with God has not been enough to inspire my family. Do I show them that faith is a joyful, difficult, exciting, scary struggle? Or do my actions (and words) lead them to believe that faith is less about living and more about following the rules? To form intentional disciples we must first become intentional disciples. Does the faith I have on the inside show on the outside? Do my actions speak louder than the Tau cross I wear around my neck? My kids have Summer Reading assignments–and now, so do I. Mine doesn’t come with a test at the end, or a book report to write, or a poster to draw. It does, however, come with the promise of an intriguing online discussion. That’s because my Summer Reading is coming from the brand-new Lawn Chair Catechism series at Catholicmom.com. We’re reading Sherry Weddell’s Forming Intentional Disciples: The Path to Knowing and Following Jesus. Learn how you can read along, or even join the discussion without reading the book. (Try THAT with your traditional Summer Reading assignment!) The series starts tomorrow, but you can still order the book at a deep discount–with free shipping–through June 6.